April 30th is International SpankOut Day. 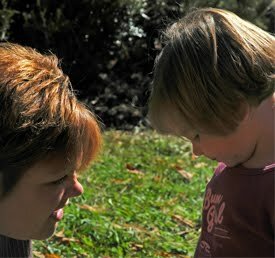 It was started in 1998 to raise awareness of the problems with spanking children and to provide alternatives. Various organizations, including The American Academy of Pediatrics, recommend parents use methods other than spanking for managing undesired behavior. However many parents still use spanking as a response to misbehavior. A new study published in the May 2010 issue of the journal Pediatrics reports "Kids who were spanked more than twice a month as 3-year-olds were much more likely to become aggressive 5-year-olds than kids who weren't disciplined that way." While it is very important for parents to set limits with their children, it should be done in a way that helps children learn from their mistakes without hitting or spanking. Parents who want to learn effective ways to set limits with their kids and respond to misbehavior without resorting spanking can take the online Priceless Parenting course for ages 5 and under.